With the ever growing Marijuana Industry (Medical and/or Recreational) now in the Billions when someone hears the words “Industrial Hemp” or just “Hemp” there assuming it’s the same thing. 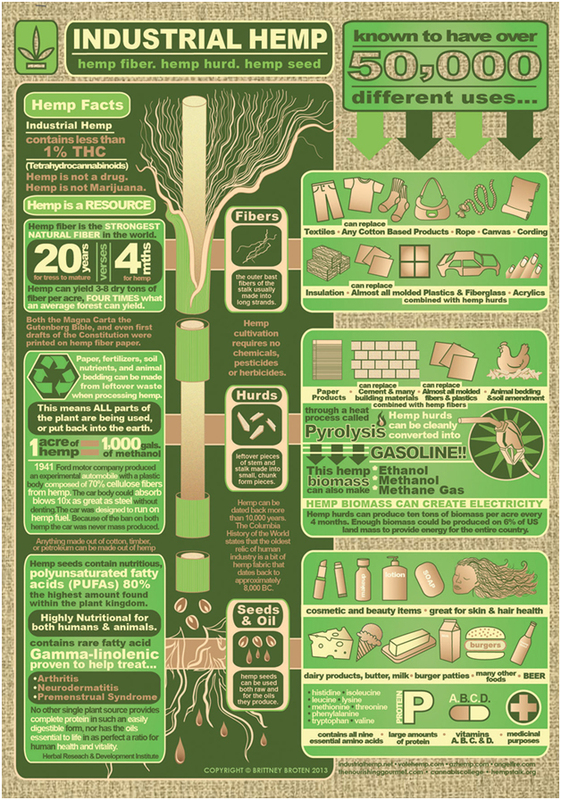 Now to an extent there right however Industrial Hemp is by far the most productive, helpful, lucrative, safest healthiest. I could go on and on. Now you’re still wondering what the difference is between Marijuana, Cannabis and Hemp? 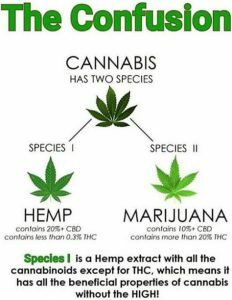 The diagram I have at the bottom will visualize it for you but in clear basic “federal” terms; Marijuana AKA Cannabis is any plant with a THC Content over .3% and the Hemp Plant has .3% or less THC content. That’s it. Now each species of plant has it own purposes and uses however for clear definition of the difference is the THC content. The momentum is moving faster and faster and laws are changing just as quickly. New Mexico has joined the Industrial Hemp movement that many other states have done so in the past starting 2019. However, now the Federal Government, mind you who has been pressing their thumb of regulation to not allowing the cultivation and sales of Industrial Hemp, has passed the 4-year renewable Federal Farm Bill with a special added provision. Industrial Hemp is to be allowed, legal in all 50 states for ANY reason. With New Mexico Industrial Hemp Bill becoming law it is possible to obtain a license to start growing Hemp for Commercial purposes. Before applying there are a number of aspects that needs to be determined in order to present a complete and adequate application. NM Brief Relief is here to help Hemp Farmers in navigating through any stage of this process to increase the chance of obtaining a license to grow for commercial reasons. We are here for anyone who is interested in getting into this new, growing and thriving industry. The approval of an Industrial Hemp License for your outdoor or indoor grow will be determined by the New Mexico Department of Agriculture. There will be no limits as to how many licenses that will be awarded however not every application will be granted a license. Therefor a fully articulated, researched and a well vetted application will increase the chance of gaining a license. Allow our team to assist you in increasing those odds with our extensive knowledge, Experience, contents in the industry and our passion to help our clients achieve success. The New Mexico Industrial Hemp Law gives people the opportunity to grow their own Industrial Hemp for Personal reasons. There is a limit of 26 plants and other important rules and regulations that will determine how the grow will need to be set up. We can assist you in all avenues of acquiring a license from the New Mexico Department of Agriculture to help insure approval. We can also assist in all matters of growing your own personal Industrial Hemp including but not limited to; set a plan for each property, determining what type of Hemp is best to grow, locating Certified Hemp Seeds of your choice and help with the entire process. Establishing connections with hemp processors if needed or assisting in purchasing the necessary equipment to process your own hemp. NM Brief Relief is her to help you succeed in all your Industrial Hemp needs. 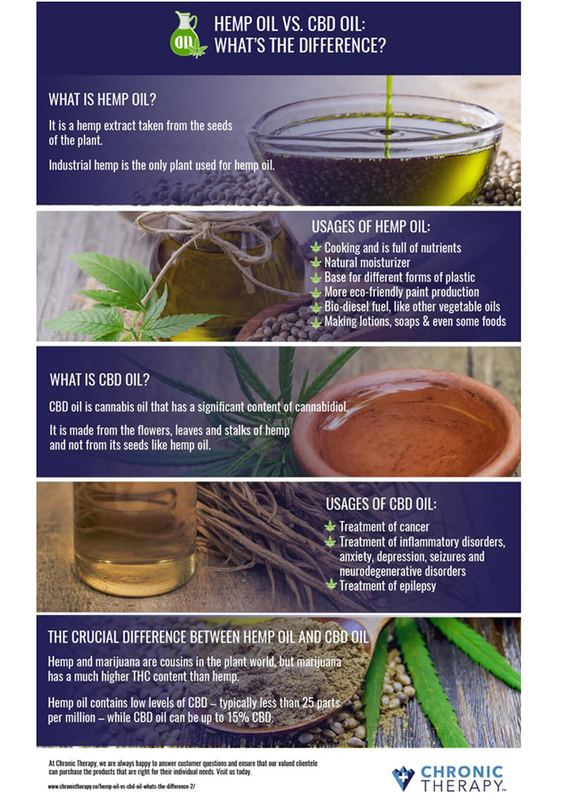 Investing in to the Industrial Hemp or Medical/Recreational Marijuana Industry can be a very confusing and stressful without the proper connections to adequately insure the understanding of the various methods of growing, numerous subindustries like, fiber, CBD and Hemp seed oil, and the different methods of extraction. We have a team of specialist that are here to consult with you to help determine reward/risk associated with this upcoming industry. With our vast knowledge and experience in the Industrial Hemp and Medical Cannabis space we are in the position to be quality and unique asset to those who are interested in the future of this entire industry. With the owner’s ability to visualize where the market is going and be able to maneuver through it gives our clients the edge needed to get ahead. We take the trials and errors out to insure the learning curve is not steep and is fast and comprehendible. Are you currently involved with any part or aspect in any Cannabis Space?